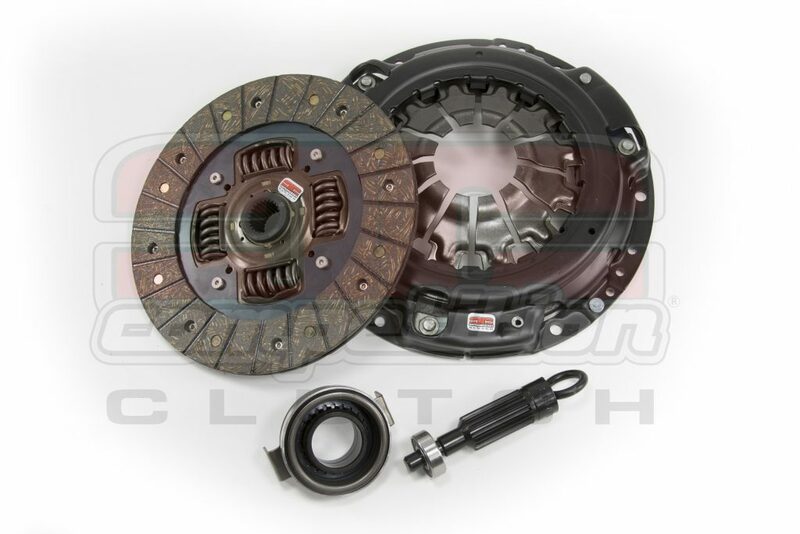 The new Competition Clutch, Inc. 15021 clutch kit for the EJ25T using the 5speed push-style transmission provides an increase in horsepower holding capacity with excellent driveability characteristics. These new kits give the ideal balance of sport driving and daily driven clutch use. Many new features are responsible for these positive attributes. The diaphragm is heat treated to increase the pressure plate clamping force to 2200 LB without a large increase in pedal effort. This also allows for a more consistent pedal engagement point and pedal feel. This clutch kit bolts directly onto the factory OEM flywheel. All 15021 kits come with a throw out bearing, alignment tool, and pilot bearing. Established in 2003, Competition Clutch, Inc. is a manufacturer of performance clutch kits and flywheels for street and race applications. Privately held and headquartered in Conyers, Georgia, Competition Clutch, Inc. has global subsidiaries in the United Kingdom, Australia and Europe.